GREEN BAY — Mike McCarthy confessed that players and coaches alike weren’t thrilled with how last Sunday’s game in Oakland went, even in victory, but he’s chalking it up to another trial in a long and difficult season, one his team overcame on its road to the playoffs. 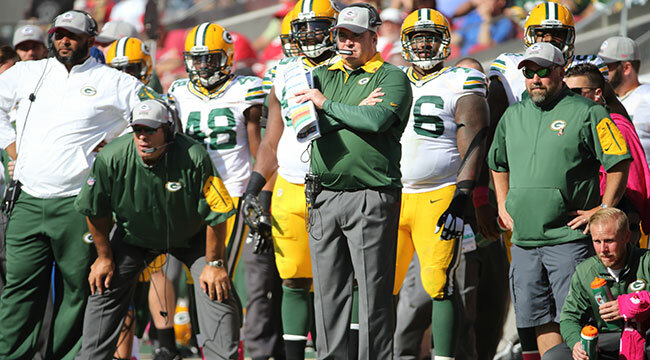 Arizona is one of the most balanced teams in the league, which McCarthy acknowledged. He called the Cardinals’ perimeter group on offense the biggest challenge the Packers defense will face all year, and Arizona’s aggressive defense is known for taking the ball away. The Packers have only a few days to get new long snapper Rick Lovato up to speed. Lovato was signed on Tuesday after it was discovered veteran long snapper Brett Goode had a knee injury. McCarthy said Goode told him he injured the knee early in the game but played through it. Kicker Mason Crosby, punter Tim Masthay and Goode have been together every game since 2010, so a new snapper will be a rare change on short notice. Elsewhere on the injury front, McCarthy said left tackle David Bakhtiari (ankle) was scheduled to do some work in practice on Wednesday, but the workout as a whole would not be extensive. Cornerback Sam Shields (concussion) has returned to meetings, but McCarthy wasn’t sure if he was cleared to practice yet. Click here for more following practice and locker room interviews.